In the Apex Arena, all competitors are equals, and the Legends are evenly matched in terms of strength, speed, and firepower. It’s their abilities that set them apart, so you’ll want to pick the Legend that matches your preferred playstyle and complements your squad.Want to be the shield between your team and opponents? Jump into the arena as the hearty Gibraltar. How about helping your squad travel long distances to take your enemies by surprise? Pathfinder, with his trusty grappling hook, is your perfect pick. Figure out what role you like to play and try different Legends to see which fits you best. The game does look great, I've seen some gameplay footage and it does look interesting. I have downloaded it and will give it a try. I see that @zoob is already playing it and I know @Jkrohn1 is interested. One concern that I have is that it is a squad-based Battle Royale game. My experience of squads in Fortnite BR is that when playing with randoms, typically they decide to do their own thing (such as throwing themselves at Tilted Towers and dying within the first couple of minutes) even when you suggest starting at a particular point on the map. In other (non-BR) games I've played such as Battleborn, Overwatch and Battlefield V, the teams / squads of randoms again invariably seem to do their own thing rather than work as a team/squad. 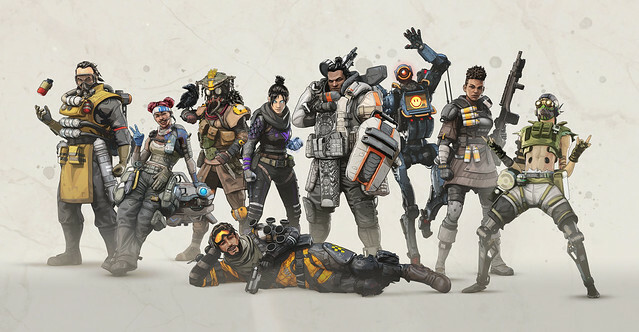 So will it be any different in Apex Legends with randoms? I may be wrong but I'm guessing not - I can still see squads of randoms going off and doing their own thing, not working effectively together and not using the great feature this game has of collecting banner cards from downed squad mates and taking them to respawn points so they can spawn back into the game. If it is like this, then the game would only be fun if you could get on with a bunch of friends and work together as a communicating squad. Not sure that's something that would happen that often, at least here on SNR with everyone playing different games these days. So only cosmetic items and the only issue I have is you have to purchase 2 hero's can use in game cash so not that bad. Well if you download it on PS4 I'd be up for trying it out with you sometime. It's great fun and whilst randoms will be randoms, it really isn't in anybody's best interest to do so. Your squad jumps together, tags items together and can revive each together. Which does make a difference to the gameplay. I had a play on this last night with Jenxy and Wilks (rather than play Burnout, sorry @Spruijt !). I quite enjoyed it , it reminded me a bit of the Blackout modegh that on BO. We had connection issues towards the end of the night though, so had to call it quits. Dunno if PSN in general was having issues though as we all got kicked from party chat and messages weren’t always sending. I’m deffo up for giving it another crack. I can see once the game has got more established though that it will be dominated by regular players so casual players may well get put off. It’s no fun dying after 5 seconds into the game after all. No harm done Plax, all was voluntary. PSN indeed got a bit dodgy around 11 I believe. We ended up back in game chat after the party system fell over. Does anyone want to play this with me at some point? I’ve been playing a lot with randoms but it’s obviously going to be better with friends. Both @Wilks and @Jenxy_ seem to be playing this, haven't you teamed up with them yet? I'll likely only play this on occasion and probably only early evening whilst waiting for @HaloJ to get home. Whilst it looks great, it is just another battle royale game and you seem to spend most of your time running around collecting kit only to die when you eventually encounter another squad. Rinse and repeat. Lol @Martok - pretty much my thoughts on the gene though I seem to be a little better at this one due to working as a team. @Plaxinator - just give me a shout! The hunt is on – welcome to the Wild Frontier. 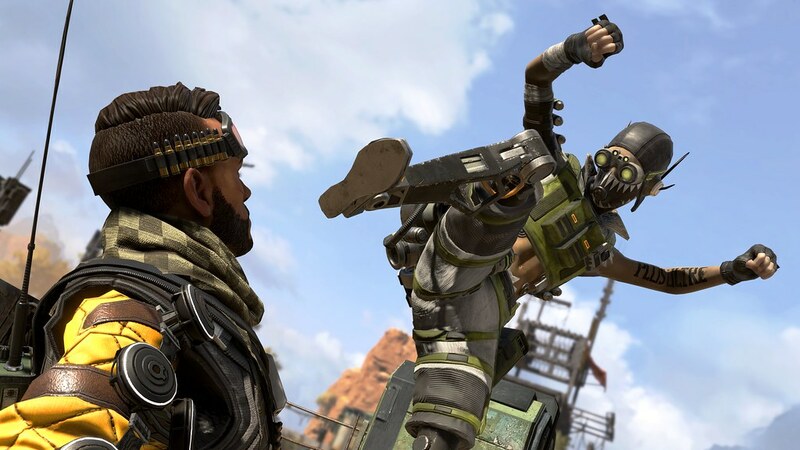 The first season of Apex Legends launches tomorrow, and tons of great stuff is dropping into the arena. Check out what’s in store if you play for free, and learn what you get when you grab the Season 1 Battle Pass. Seasons are massive packs of content dropped regularly throughout the year. Each season brings new Legends, fresh loot, and special events that change the Games, and we’re kicking things off with Wild Frontier. 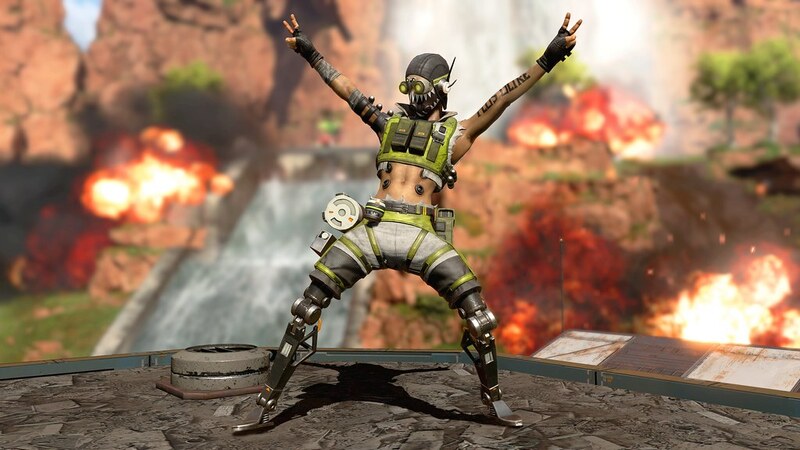 Apex Legends is available for free now on PlayStation 4. Jump into the arena, hit the in-game store to grab the Battle Pass, and get ready to unleash the beast.